The school holiday has begun and it’s time for fun, fun, fun! Whether you are enjoying a staycation at home in Johannesburg or are here visiting family or friends, here are a few ideas on what to with your children over the Easter holidays. 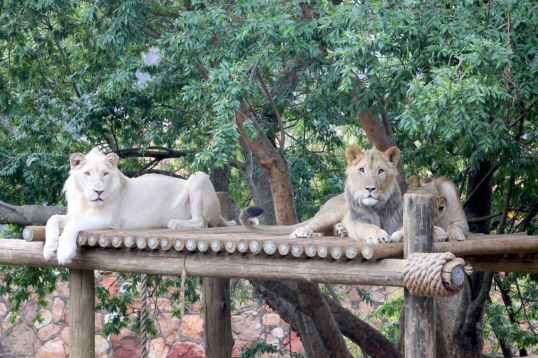 This 55ha zoo in the heart of Johannesburg has been a roaring success since it was opened in 1904. There are more than 320 species of animals and reptiles in this internationally acclaimed oasis in the city. Wander among animals from near and far, find a shady spot and have a picnic while the kids run around in the sun or catch a guided tour on one of the large open-air vehicles. You can even camp overnight, but you do have to book for a group of more than 25. How to get there: hop on the Johannesburg Green Tour , which will take you right to the Johannesburg Zoo. Prepare to be amazed at the Carlton Centre. 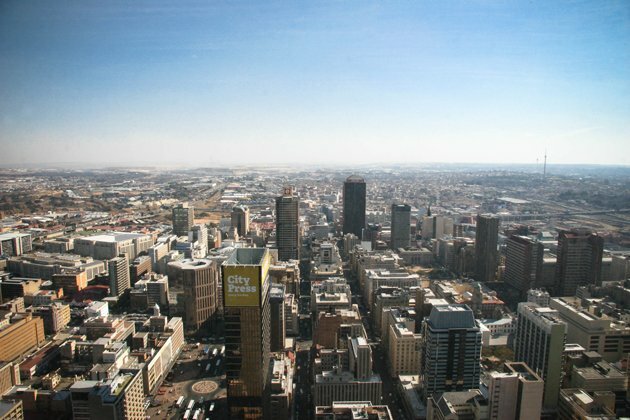 With its 50 storeys, the Carlton Centre (stop 11) is the tallest building in Africa and one of the most popular stops on City Sightseeing’s City Tour in Joburg. How to get there: hop on the Johannesburg City Tour and hop off at stop 11 at the Carlton Centre. 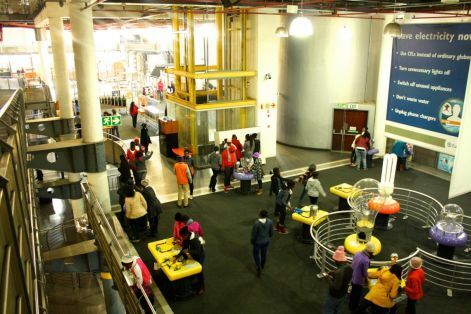 With more than 350 interactive maths, science and technology exhibits, the Sci-Bono Discovery Centre is the largest and most visited science centre in Southern Africa. Wander the halls, watching your kids learning science. This is one place your children don’t need to keep their hands behind their backs; they are actively encouraged to touch, press, push and play, all in the name of science. How to get there: hop on the Johannesburg City Tour to the SAB World of Beer, Sci-Bono is just across the road. Have a huge amount of fun while catching a bit of history at Johannesburg’s amusement park, just 8km from the old city centre. Located on a gold mine that closed in 1971, the park is themed around the 1886 gold rush that gave birth to the city. Catch water rides, roller coasters or the Tower of Terror. There are lots of places to have lunch, and everyone can catch a spot of history at the museum. All of this is within walking distance of the world-famous Apartheid Museum, so those with older kids or teens could make a day of it and do them both. How to get there: hop on the Johannesburg City Tour and hop off at Gold Reef City Casino Hotel. The James Hall Museum of Transport in Johannesburg is the largest and most comprehensive museum of land transport in South Africa. It is the perfect place to see how our grandparents and great-grandparents got around the city – and the country. 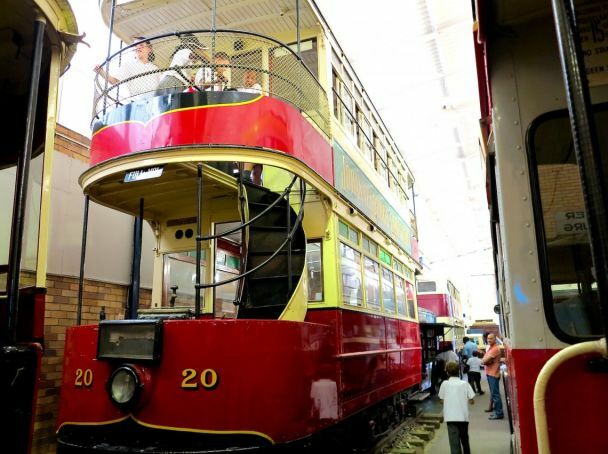 How to get there: hop on the Johannesburg City Tour and hop off at stop 12 to enjoy the James Hall Transport Museum. We also offer City Sightseeing ticket holders in Johannesburg a free shuttle service from departure points at certain hotels in Sandton and Melrose to our ticket office in Rosebank, making the red bus even more accessible than before for tourists, business travellers and locals alike.